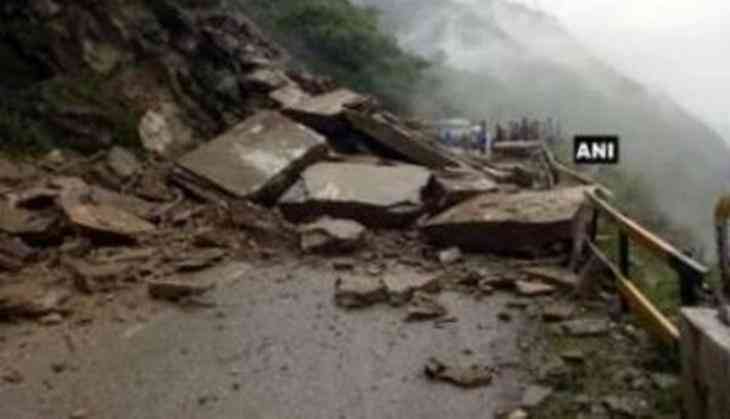 Vehicular traffic on National Highway-3 has been suspended after boulders tumbled down onto the road following a landslide in Banala town of Mandi district. Speaking to ANI, Deputy Commissioner of Mandi district Rugved Milind said, "At around 5:30 am today, National Highway 3 got blocked due to landslides, machines have been deputed to remove boulders from the road. It will take a few hours to restore vehicular traffic on the national highway."